I was never what you might call a super-fan. It’s not like I watched every episode of every season. But I had been a regular viewer of the series off and on – sometimes tuning in every week religiously, and other times, dropping in to catch an episode whenever circumstance and timing were right for me and my younger, easily-distracted brain. The X-Files was for me, a constant. A known variable. A reliable old friend with whom you could drop by unannounced anytime and be welcomed with open, alien and monster-loving arms. It’s been 14 years since the original run of The X-Files graced our television screens for the last time, with its final episode airing on May 19th, 2002. By then, it had become the longest-running sci-fi series in U.S. television history, (although the argument could just as easily be made for it being a horror series). As much as I had enjoyed The X-Files over the years, I had stopped watching the show by that point. My attention had been called elsewhere. And, it’s no secret that the show had jumped the shark by then. Hell, there was even an episode in season 9 titled “Jumped The Shark.” But, it didn’t mean that I loved Mulder and Scully any less. It wasn’t until about halfway through episode four, the seemingly aptly titled “Home Again,” that the show itself – via a conversation between Mulder and Scully – explained to me its own magic. Sitting on my couch here in 2016, watching The X-Files Revival, I am simultaneously sitting on my sister’s trundle bed in 1996. Somehow in this moment, the present is the past and the past is the present and I’m me now but also young again. 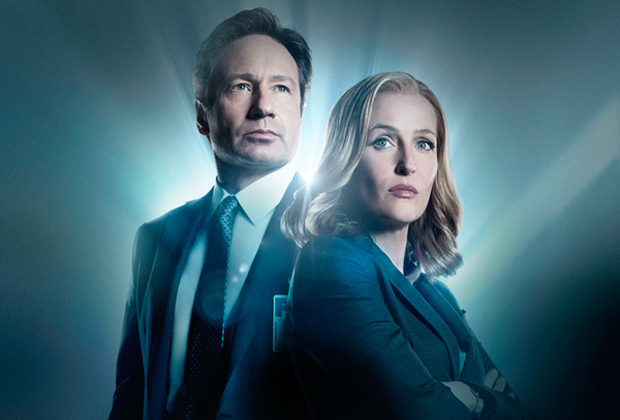 Back in the day is now, I want to believe, and I feel as though I could live in this suspended state of X-Files past/present time/space animation forever. What a time to be alive. Previous Previous post: Apollo 10 Astronauts Heard Unexplained ‘Music’ On The Far Side Of The Moon.